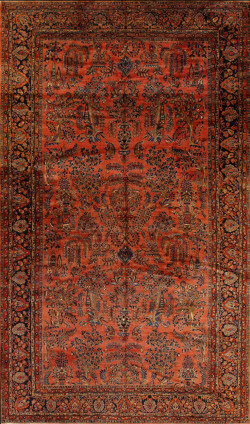 Rarely are antique Sarab runners found this narrow, this long and this attractive. The classic dark camel field displays four elongated hexagonal ivory panels with herati filled inner lozenge saw tooth edged medallions. 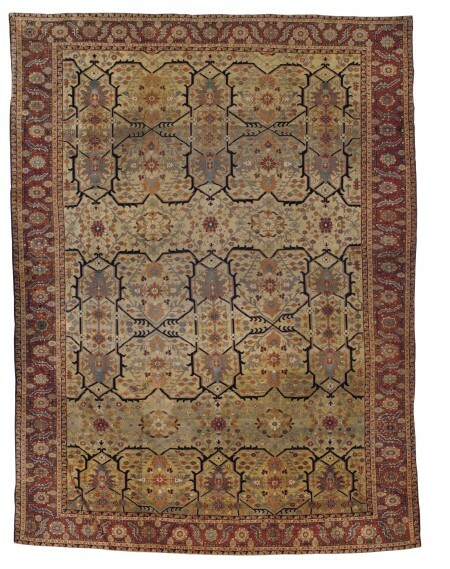 Caucasian kufesque border elements along with zig zag stripes, dots and colourful simple flowers decorate each in the cru hexagon.The outer border is in the classic Sarab reciprocal arrowhead style and the inner utilises elongated hexagon cartouches. 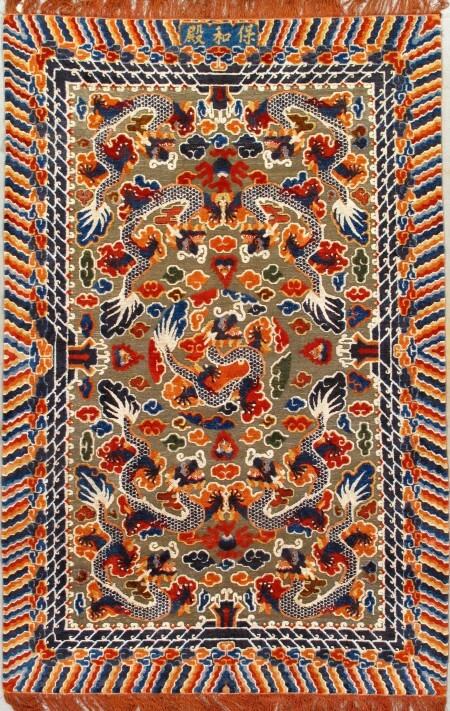 The foundation, as on antique Sarabs generally, is all wool with symmetric knots. The colours are all from natural sources and, include brick, dark blue, medium blue, yellow and green, along with ivory and medium brown. 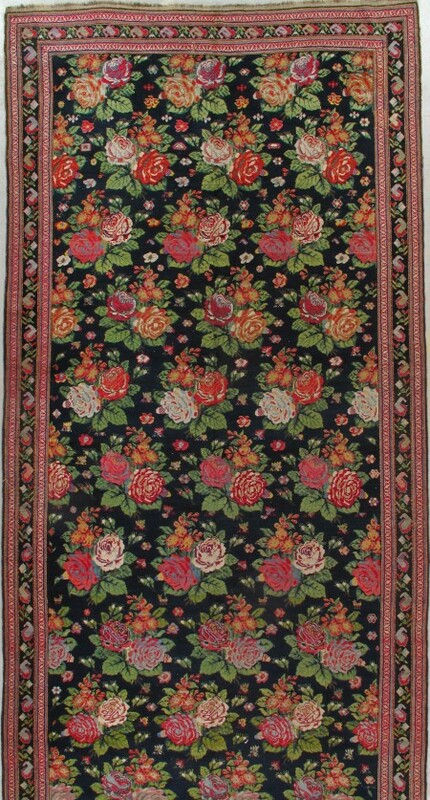 Sarab is on the edge of the Heriz weaving district and has always specialised in runners. 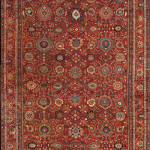 Large carpets have not been woven there.Camel and brown tones almost always predominate. 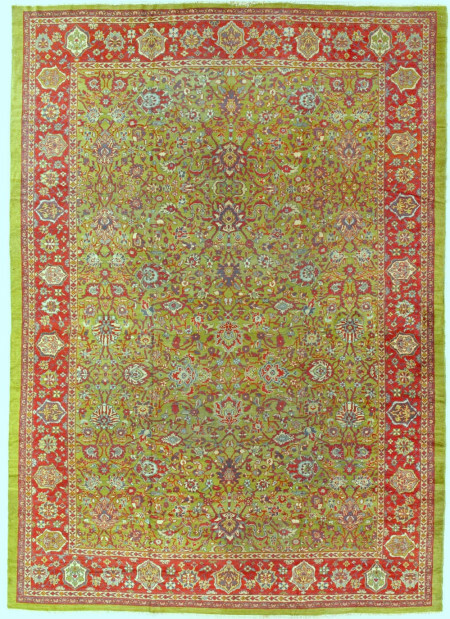 This is a rare example in a narrow and long format of the better quality pieces of the pre-1900 period.